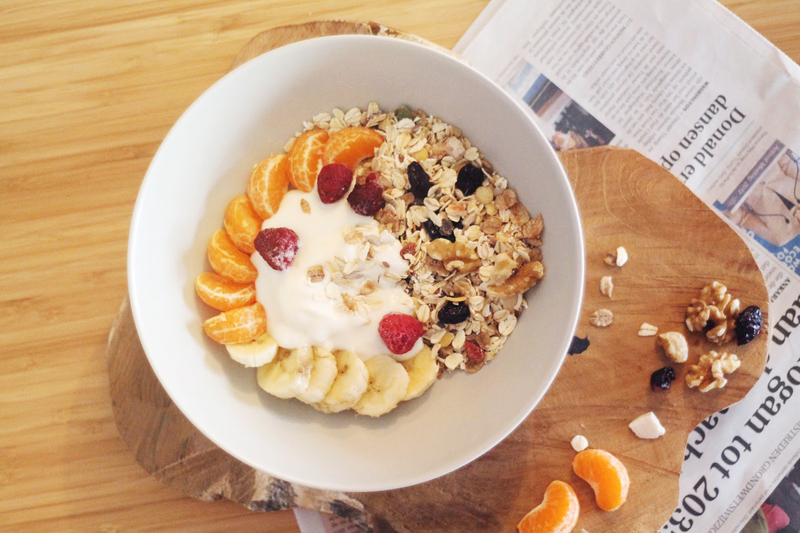 ~"It's not a diet, it's called eating healthy"
I started eating muesli in the morning combined with fresh fruits. Normally I don't eat in the morning and I wanted to change that. So I did some research about muesli, which is very popular at the moment. A healthy breakfast should include +/- 400 kcal. 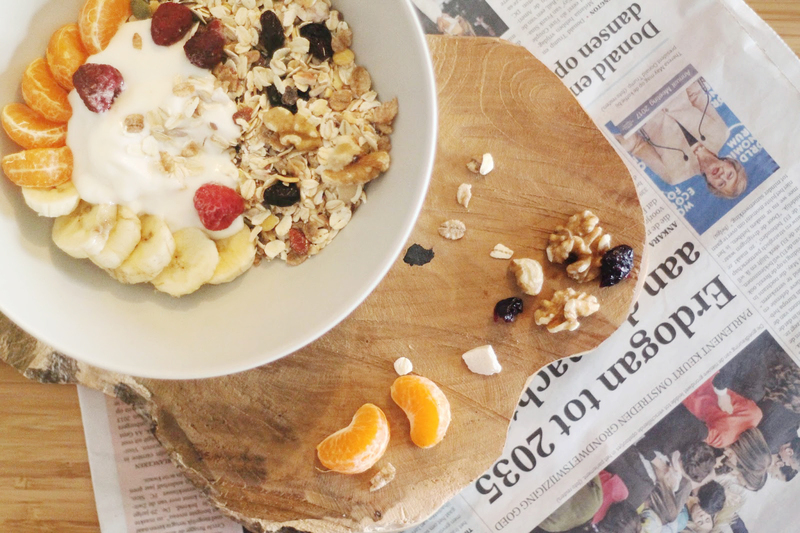 Choosing a healthy muesli is not that simple. Because it can contain a lot of sugar. You should look carefully at the package of your muesli. The product should contain 350 kcal per 100grams and the percentage of fat should be less than 10 grams. Your muesli should contain 50 to 70% off grains. I read about a simple trick to found out which product is most present in the package. The product that is written first, is most present. So chose the one who mentioned the grains first and the extras last. Hope you liked this post. Stay healthy! Ik eet ook graag fruit in de ochtend :) Vooral met kwark en kaneel! This looks so good! It's such a great idea, I'll have to give it a try x. That is a good trick :) I'm trying to eat healthier, just not really succeeding yet..
Ontbijt is denk ik wel mijn meest favoriete maaltijd van de dag! Eet ook graag yoghurt met muesli, moet alleen wel wat meer fruit eraan toevoegen! Mmm, ziet er lekker uit! Ik moet wat meer 's morgens degelijk en gezond ontbijten, meestal eet ik een koekje in de auto ofzo!